In the first quarter of 2018, the final recommendations for Fairfax County’s Strategic Housing Plan will be presented to the Board of Supervisors (BOS). Considered a companion report to the county’s comprehensive Strategic Plan to Facilitate Economic Success, this plan will offer short term and long term strategies to address the growing shortage of housing that’s affordable to low and moderate income households. Since January 2017, the Department of Housing and Community Development (HCD) has engaged the Affordable Housing Advisory Committee (AHAC) and outside consultants to review and consolidate the results of an online countywide housing survey and four community meetings. Three workgroups were convened to examine some key issues that impact housing affordability: zoning and land use policies; strategies for capital formation; and affordable homeownership opportunities. A report from the Long Term Care Coordinating Committee was also considered. Establish clear goals and targets. There are numerous resources available to develop housing needs assessments based on population and job growth projections, wage and income levels, current housing stock, and price points. In areas of the county where redevelopment plans have been approved, or are contemplated, more detailed demographic analysis of the households living in older, unsubsidized housing should be gathered. Residential buildings in these areas are at risk of demolition and/or redevelopment, leaving hundreds of vulnerable families in the precarious situation of being priced out or losing their housing. 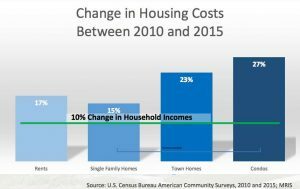 Information on family composition and income levels will be necessary to plan for adequate housing options for these households. Review Two Major Affordable Housing Policies. Is the 27 year-old Affordable Dwelling Unit Ordinance, which does not apply to elevator buildings, still an effective tool given the fact that high-rise residential development increasingly has become the norm in the county? While the Workforce Housing Policy requires affordable units serving those between 80-120% of the area median income in high rise development, it does not address the greater need for housing for lower and middle income households. The number of units for households at < 60% of the area median income ($55,000 family of four) has experienced a significant decline. Preservation and Households Earning < 60% of the Area Median Income. Preservation of existing affordable housing is especially important in a high cost market like Fairfax County. From 2005 to 2009, 2,400 units of affordable housing were preserved with the One Penny Fund – one penny of the real estate tax dedicated to housing. When that funding was discontinued, the ability to preserve older, unsubsidized apartment buildings through acquisition largely disappeared. Preservation is a challenging issue for many jurisdictions in the region. Partnerships with affordable housing developers who can acquire and maintain affordability is the most direct preservation strategy to follow. 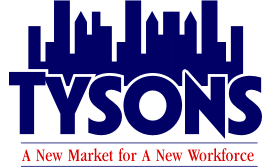 In addition, the county should 1) update the current inventory of unsubsidized, market affordable rental housing, and 2) consider adopting strategies that may appeal to private owners of these buildings, such as low or no cost maintenance loans or tax abatement in exchange for maintaining affordability. Another land use tool to consider is the creation of preservation overlay zones in areas where there is a concentration of unsubsidized affordable housing. This would offer some protection from the redevelopment of these valuable assets. Financial Resources for Housing. Whether it’s a dedicated revenue stream, contributions from commercial developers, a bond issue for housing, or a combination of these sources a subsidy is essential for affordable housing. Given the need (see goals and targets), and the high costs of construction, the subsidy must be meaningful and substantial. The current allocation of $7-$10 million annually is a woefully inadequate response given the resources that a county such as Fairfax has at its disposal. Currently, developers must leverage public funds with other financial resources – a smart approach to stretch county dollars. To have greater impact, county staff should should align their funding process with the Low Income Housing Tax Credit program. This local subsidy increases the scoring for proposals from Fairfax County, giving them a better chance to secure critical tax credits when their application is submitted in March. Providing an additional local rent subsidy or a housing choice voucher can create more deeply affordable units for very low income households, and further increases a project’s scoring for tax credits. When the final plan is adopted, creating adequate staff levels through new and revamped positions for HCD, the Department of Planning & Zoning and other relevant agencies is required so that the expertise to manage and negotiate more complex real estate and financing transitions in a timely manner is in place. (staffing for new challenges; new, creative strategies). 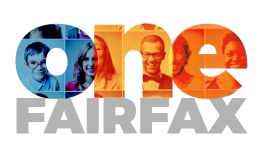 One Fairfax Resolution. Incorporating racial and social equity policies to ensure all individuals in Fairfax have an opportunity to reach their highest level of personal achievement is the goal of the One Fairfax Resolution, adopted by the county in July 2016. At the time of the announcement, Board Chairman Sharon Bulova said: “This is a formal declaration that will help shape decisions regarding education, land use, zoning and public-private partnerships.” It’s time to acknowledge that serious inequities exist among county residents, and providing safe, decent affordable housing opportunities for all is an important first step to fulfilling the promise of the One Fairfax Resolution. It’s also in the best interest of the county’s economic well-being to do so.